Broadcast by the free license permission/agreement with http://streaminghd.tn//. 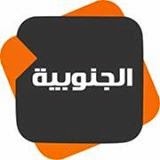 Al Janoubiya TV streaming is free through their embed code, for more information please visit theri website. al janoubiya tv online Towards the national media is free, practical about creativity informational programming system serving national economic and national media reacts with oath Arab and Islamic media have Tunisian family friend and conservative media and investor participates creator of his life and his freedom of During the three Khtoota, A cultural line, Line economic tourist , Line social development with a general trend to form a space satellite for optimism, creativity and human development.